Rehab is a place where substance use disorder treatment is provided by organizations that are licensed to provide alcohol and drug addiction treatment. Rehab programs come in different forms and provide different levels of care for people who have alcohol or drug problems. Rehab is a facility that offers a place of healing to individuals that need alcohol and drug treatment. Rehab is the shortened word for rehabilitation and is commonly used to refer to an alcohol treatment center or drug treatment center. Most rehab programs are involved in the treatment of people with substance abuse issues or more commonly known as substance use disorders. The average consumer of rehabilitation services uses the word rehab as a slang reference to alcohol rehabilitation center or drug rehabilitation center. The term rehab became a mainstream word in the early 2000s and increased in popularity once the Reality TV industry started featuring shows about rehab experiences. The addiction treatment community has traditionally stayed away from the term. However today it is a more commonly used terminology driven by consumers looking for alcohol and drug treatment. Rehab is a slang reference to a substance use disorder facility, that was popularized by celebrities who went to rehab from Hollywood over the last 20-years. There is pop, rock, and country artist that all use the word in songs referring to rehab experiences in their music. There is even a band called “Rehab” that has huge music following in the United States. The term rehab has a social and pop-culture background. There was a popular reality TV show called Celebrity Rehab that was on TV for years. 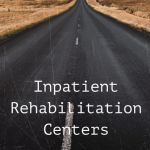 The current Rehab movement continues to spread into the mainstream of society. For years going to rehab was viewed as a sign of weakness in our society. It’s sad to think about how many men and women died because our society was not educated on addiction as a medical condition. Alcoholism has been declared by The American Medical Association (AMA) that alcoholism was an illness in 1956. The AMA further endorsed a dual classification by the International Classification of Diseases in 1991. All diseases should be treated by the medical community and rehab programs are medical facilities that offer rehabilitation services to individuals with alcoholism and addiction. The Stigma of alcoholism and addiction is not a reflection of who you are, and it is perfectly normal to ask for help from a rehab facility for a medical condition that has a solution to the disease. More people today ask for help since people realize that you can die prematurely without treatment for the illness. It takes a lot of courage to ask for help and do the right thing and get help for alcoholism and addictions. Today, receiving help from rehab is viewed as a sign of courage to do the right thing and take care of a problem that is causing personal destruction to one’s mind, body, and social life. Rehab programs and rehab centers nationally have slowly moved out of the shadows of social stigmas. It is no longer viewed as negative to ask for help from a rehab program. In the past, people viewed addiction as a moral weakness which we know today it was the result of uneducated people not understanding what addiction is and how it works on the brain. The science of addiction and the amount of research regarding addiction and treatment is at an all-time high in our society today. There are more get help campaigns, commercials, legislation, and rehab programs than any other time in our nation’s history. Today if you want help for alcohol and drugs then help is available for those looking for rehab. Illegal drug use starts out with an individual deciding to use a substance. This decision to experiment with the chemical is usually based on desiring to experience a pleasure. The consequences of addiction do not crowd into the thoughts of the individual who decides to put the illegal substance into their body. This single decision to put the addictive substance into their body for pleasure has both short and long-term consequences. The American drug problem has raged on for years, and society has tried many different approaches to trying to curb the growing problem. According to one estimate, some 90% of the world’s production of illegal drugs is consumed in the United States. Drug use is only an inner-city problem. Middle-class people don’t use drugs. All Prescription drugs are safe because they are prescribed by a physician. Drug use is a national problem, and in suburban areas, the drug problem is just more hidden than on the streets. Drug use affects every class of people in the United States. There is no class of people that are protected from drugs in our society. There are many addictive medications that are prescribed by a physician. A person can become addicted to a prescription drug just like illegal substances. A drug is any substance that alters the structure or function of a living organism. Adult Rehab Programs come in many different forms but are often residential programs. A typical rehab program last 30-days and some involve detoxification. Individual counseling is provided during treatment as well as small group counseling along with alcohol and drug education groups. Most adult rehab programs offer an exercise program and personal trainers on staff at their facilities. Some rehab programs utilize 12-step approaches that are evidence-based therapies like Facilitated 12-Step Therapy, and others use cognitive behavioral approaches. The best alcohol and drug rehabs utilize both facilitated 12-Step Therapy and Cognitive Behavioral Therapy. Adult Rehabs also incorporate family programs into their treatment centers. Family counseling is very important for all involved in the treatment process. Adult 90-Day Rehab Programs are the newest type of treatment for addiction. Since the acute care model of treatment has been the primary adult rehabs in the United States, there is growing research that shows people that are engaged in treatment for longer periods of time maintain personal recovery at higher rates than those that utilize a typical 30-day rehab program. 90-day rehab programs allow a person the needed time to heal properly mentally and physically. These programs allow for more time to heal and work on underlying issues of addiction. The time to heal is important especially considering that post-acute withdrawal patterns are identified during the first 90-days of treatment. The fact is that thousands of people today ask for help daily and only so many get into a rehab program because of financial reasons. The number one reason people don’t get help today is lack of financial resources. Most addiction rehab programs are covered by an individual’s health insurance, and affordable private pay options are available from some drug rehab programs. The Cost of residential treatment varies widely from $7000.00 to $100,000. Addiction Professionals claim there are no substantial differences in the quality of alcohol and drug treatment programs, and there is a growing controversy about variation in fees. Affordable Treatment Options help more people than the more expensive rehab programs. Paying more for treatment does not guarantee that a person will be more successful after discharge from an alcohol or drug rehab. 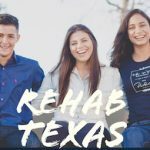 Texas has a national alcohol and drug rehab program named Summer Sky that has been leading the industry in providing affordable treatment with 30-day rehab programs and 90-day rehab programs. People come from all over the United States to utilize the Summer Sky Rehab Programs. This treatment program accepts in-network health insurance and has some of the most affordable treatment price points in the United States. A person will get more services for a better private pay rate than any of the more expensive rehabs. This famous rehab has treated NFL, NBA, College Football Players, Doctors, Attorneys, Nurses, Pharmacist, Musical Artist, Actors, CEO’S, Politicians, Nashville Recording Artist, Mayors, Judges, School Teachers, Police Officers, and over 20,000 other people. If you are looking for a result driven rehab program check out Summer Sky. The science of rehab has changed over the years, and nowadays there are more specialty rehab services. One innovative rehab program offers a relapse track designed for men and women with a history of relapse. This is such a needed alcohol and drug rehab services because some men and women continually relapse despite going to treatment programs. A relapse track offers these men and women an opportunity to get down to the causes and conditions that keep them relapsing over the years. If you are a person with a history of relapse, then you should consider attending the Summer Sky Relapse Track™. The Science of Addiction has developed into more effective ways to deal with people with addictions. Alcohol and drug rehabs now offer medication-assisted therapy and addiction medicines that are considered anti-craving drugs that help people with a substance use disorder. The next generation of pharmacological testing is available in some addiction treatment programs that help people learn which anti-depressant medications metabolize correctly in their body system, this new addiction technology helps medical doctors by eliminating the guesswork on what chemicals metabolize in a person’s body, therefore making sure a patient is prescribed the right medication in the first place. The most common form of a rehab program is the alcohol rehab. In the United States, alcohol rehab is the most recognized form of treatment. Alcohol rehabilitation programs have been around for a long time, and they have advanced to new levels since the invention of alcohol medications for detox. The first alcohol rehab programs were based on medical detoxification with little support after a person was discharged. Now with the development of more sophisticated medications that help people with cravings the alcohol rehab programs today are well rounded medical and psychological supported facilities. Some alcohol rehab programs have developed their programs on evidenced-based therapies. Cocaine Rehabs have been around since the early 1980s and have improved over the years as stimulant research and therapies have been developed to help people with cocaine addiction. Cocaine affects a person’s central nervous system. Physical and Psychological Detox is needed for people with cocaine addiction. Cocaine rehabs help individuals with their confusion, slowed physical and mental functioning. Sleep is usually something a rehab must help a person with during detox from cocaine. Once the body has rid itself from cocaine, then a rehab must help with the initial cravings associated with becoming free from cocaine. People that are addicted to meth, speed, crank, ice, crystal which are all common street names for the drug are usually in need of psychological and physical help for cravings during medical detoxification. Some individuals have elevated anxiety levels in early treatment that need attention. A person’s irritability will need special attention as well as help with sleep and cravings that are physical and psychological. Entering a residential rehab is advised for people that are addicted to methamphetamines. Heroin Rehab is a must for someone that is addicted to heroin. Medical detoxification is a high priority along with either 30-days of treatment or 90-days of treatment after medical detoxification. Cravings are important to deal with in rehab and now that advanced medications are available at heroin rehabs a person can now experience medical detox relatively comfortably. Relapse prevention is critical to a person dealing with an addiction to heroin. A drug rehab encompasses all addictive substances known to society. Drug Rehabs are always adapting to the new addictive substance as well as new street drugs that come out yearly. 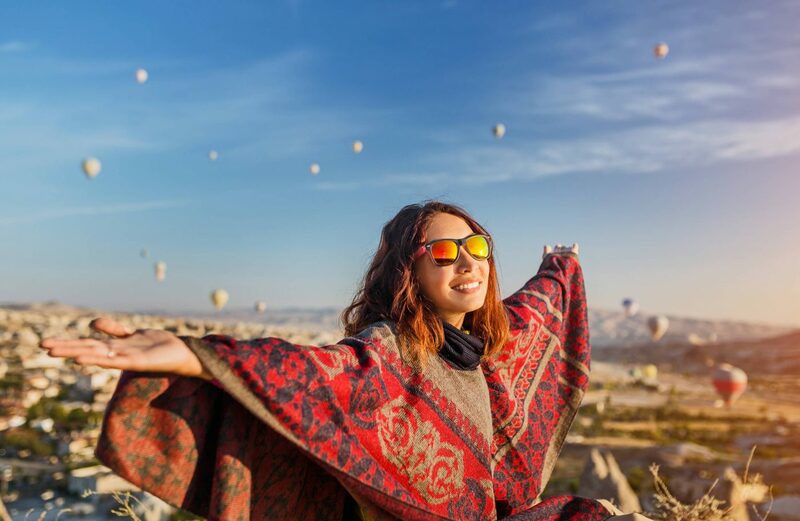 The new synthetic drugs are the newest forms of addictive substance that drug rehab programs are now dealing with as well as all illegal and legal prescription drugs. This type of rehab program helps people that are addicted to heroin, opium, morphine, codeine, meperidine, propoxyphene, methadone, hydrocodone, oxycodone, oxycontin, and other opiates. The main thing about Opioid rehab is a person that asks for help needs to enter treatment as fast as possible to avoid a potential overdoes since opioid addicts have a high potential for overdose. Sometimes waiting to go to treatment has caused premature deaths to take place.